There are two marketing tactics described by marketing textbook：the so called “Push marketing” and “Pull marketing”. We are very happy to share you the academic theory with a real business strategy practiced by Maple Leaf. 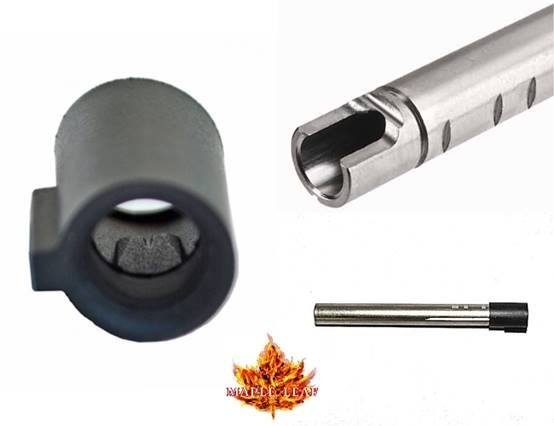 Let’s take a look at Maple Leaf bundled sets in 6.02 mm inner barrel and hop up rubber series. 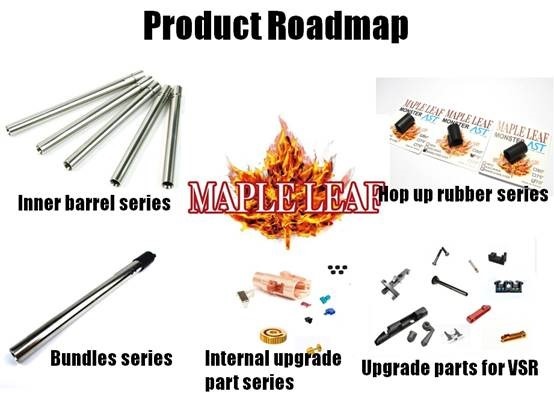 Maple Leaf has been focusing on the upgrade kits for Airsoft guns for years, it owns four categories：hop up rubbers, inner barrels, internal reinforced parts for pistols, and total solutions for all upgrade parts of VSR from interior to exterior except for its body. 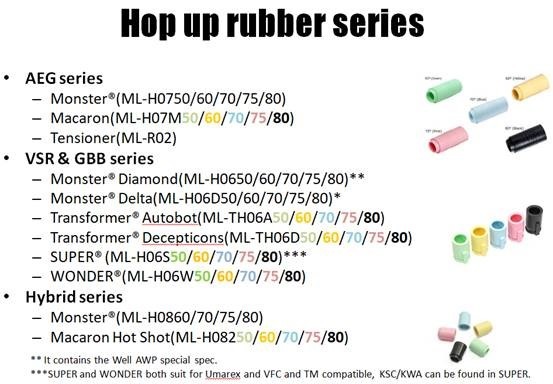 Though its hop up rubbers of Macaroon (for AEG) and Transformer (for GBB) series have been vastly welcomed by end consumers worldwide since 2016, Maple Leaf had been insisting on serving a special segment in the escalation market, gunsmith in workshops, by offering the valued product bundles – the trajectory kits of inner barrel and hop up rubber- with discounted prices. 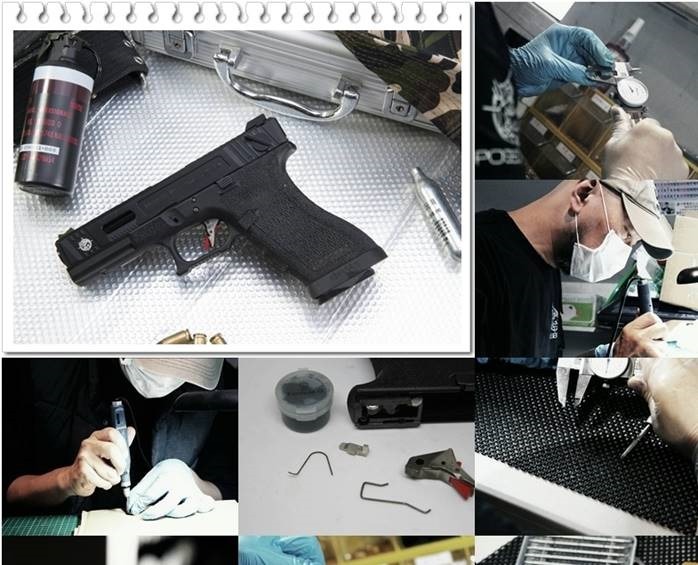 Workshops which are dedicating to provide in-house custom service for clients, or Airsoft gun shop wishing to differentiate product mix from its local opponents by establishing upgraded gun lines can find solution using the sets. Though the competitiveness is intense in after-service market, Maple leaf successfully attracts people’s eyeball by its colorful Macaroon appearance, the brilliant naming of Transformer in 2016 and the later SUPER/WONDER series in 2018. But most importantly, it is the stable efficacy from the hop up rubbers’ construction that wins the acknowledgement of professionals in Airsoft circle. The patented structure basically is a “broad in the rear and narrow in the front” instead of the traditional long narrow pressing bar, so that the static friction will accumulate the thrust from jet stream in the beginning, and release the accelerating BBs, due to decreasing dynamic friction in process. Maple Leaf’s bundle set in inner barrel and hop up rubber brings down cost while keeping the quality without compromise. The said principle has been realized by the “diamond” structure inside its rubber, and 6.02mm precision can effectively raise the muzzle velocity and so, extending engaging distance in war game without Hi-power kits. 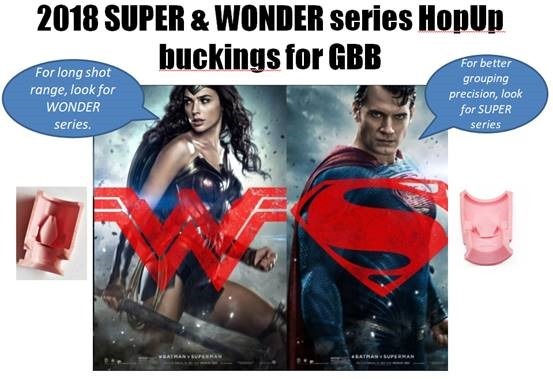 The bundle set support gas pistols, and AEGs which confine to hybrid hop up rubbers along with GBB inner barrels. 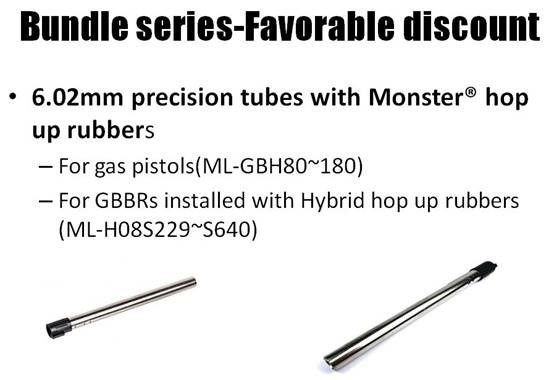 The price deduction spans from 6% to 37% depending on various lengths of tubes and applications. Haven’t you realized it? Please contact the nearby legit Maple Leaf regional wholesalers or Jia Dyi at sales@jiadyi.com to know more.